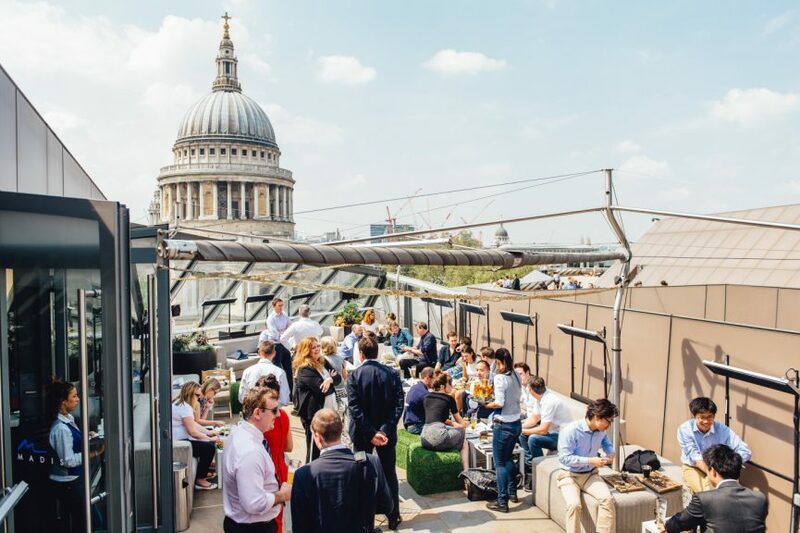 Located on the roof of One New Change in the City of London, Madison overlooks the iconic Neo classical dome of St Paul’s Cathedral and offers breath-taking panoramic views of the Gherkin, Shard, London Eye and City of London. 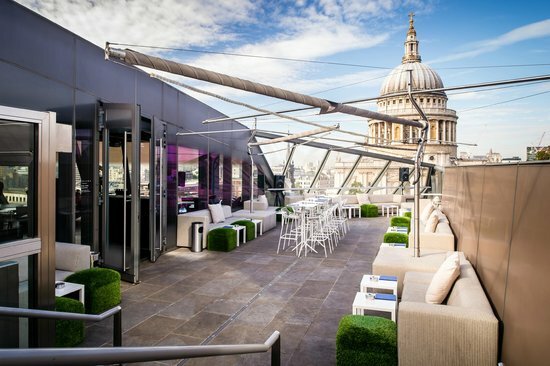 From informal luncheons to cocktail and canapé parties as night falls, relaxing at the bar or enjoying drinks and cocktails on the Madison terrace whilst watching the sun set over the city skyline, a visit to the chicest and most fabulous roof terrace in Europe is a must. 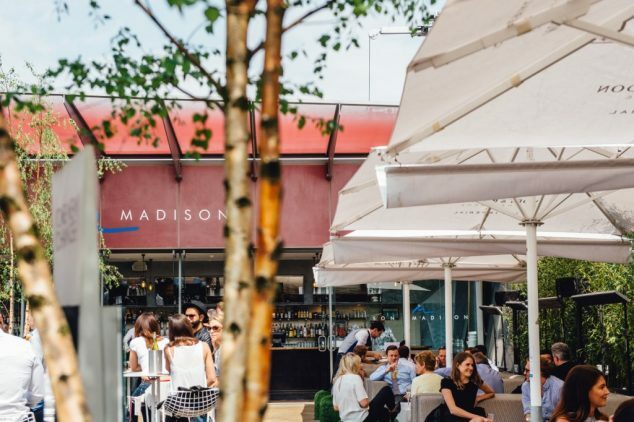 Designed in partnership with the award-winning bar designer Mango, Madison’s interior design utilises the glass structure of One New Change and embraces the use of natural light and modern design to create an undeniably stylish vibe. The polished glass ceiling panels are softened with eucalyptus wood flooring, carpet and colourful hand blown Italian glass chandeliers. 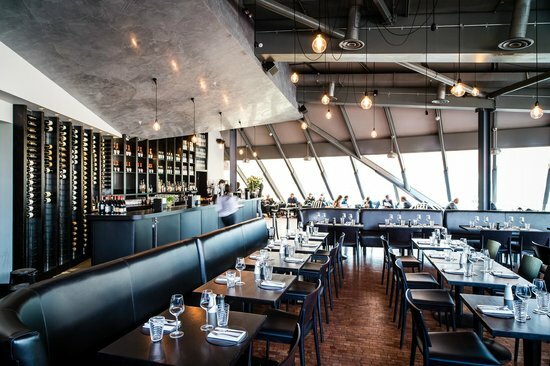 The elegant floor to ceiling bar is lit with Verner Panton globe pendants creates a dramatic focal point. 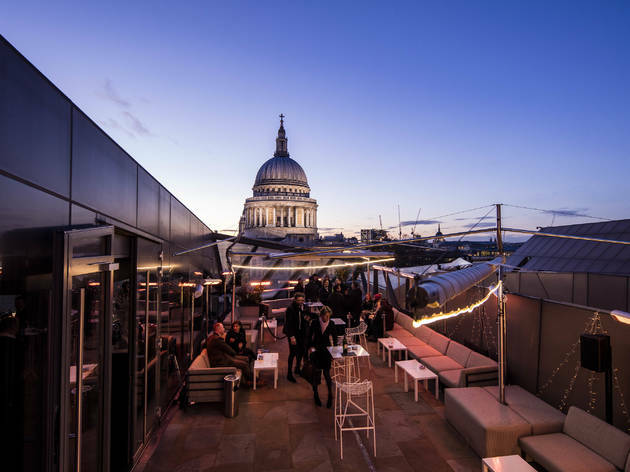 As night falls, Madison’s low lighting and cool but comfortable furnishings combine to give a relaxing yet vibrant atmosphere.